A driver suffering from a seizure was saved from a potentially disastrous situation after a fellow motorist leaped through the window of his moving car to help. The incident was captured on dashcam by a passing police car. 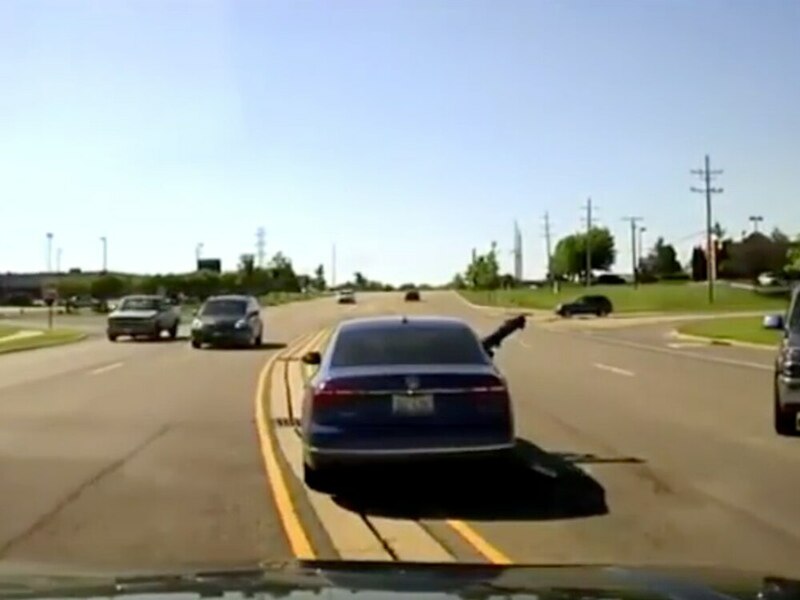 The footage shows a Volkswagen Jetta drifting very slowly through a red light in Dixon, Illinois, holding up traffic and capturing the attention of the police cruiser. Following the Jetta, the police put on the blue lights and attempted a stop – but one heroic bystander got there first. Randy Tompkins, 39, was forced out of the way by the Jetta as it drifted onto his side of the road. He reversed his pickup, but quickly realising something was wrong with the driver took decisive action. Tompkins got out of his truck and ran to the aid of the Jetta driver, leaping headfirst through the car’s open window. Seconds later, the brakes were on and the car was safely stopped. The driver was having a seizure, Tompkins told the Chicago Tribune. “He had his arms up by his chest. I didn’t know if the guy was gonna push the gas, jerk the wheel or whatever so I waited as long as I could to back up. Though the footage was captured in July last year, it has recently surfaced thanks to a thread on viral site Reddit.